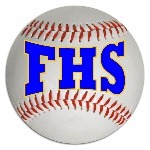 Falmouth Yachtsmen Varsity snagged a late lead and defeated South Portland 4-2 on Thursday. The game was tied at one with Falmouth Yachtsmen Varsity batting in the top of the fifth when Garret Aube drew a walk, scoring one run. South Portland got on the board in the second inning. An error scored one run for South Portland. ​Falmouth Yachtsmen Varsity evened things up at one in the top of the third inning. Sam Kidder grounded out, scoring one run. Aube was the winning pitcher for Falmouth Yachtsmen Varsity. He allowed five hits and one run over five innings, striking out one.Hunter Owen took the loss for South Portland. He lasted five innings, allowing one hit and four runs while striking out nine.Griffin Aube started the game for Falmouth Yachtsmen Varsity. He surrendered one run on two hits over two innings, striking out three and walking zero. Will Bopp and Marcus Cady all had one hit to lead Falmouth Yachtsmen Varsity. Riley Hasson led South Portland with two hits in four at bats.